So you’ve joined the punting world. You want to enhance your sporting experience by having a little flutter of your hard earned on the results of your favourite teams. You’ve visited one or more of our recommended bookmakers and signed up to create a betting account. You have sifted through all the odds, found your favourite teams and decided which markets you are going to bet on. How do you get your money to your bookmaker and into your betting account? Well, look no further, we’ve got you covered. Here we offer a guide to making sure you have funds available in your betting account to lay your bets with. How do I transfer money directly from my bank account to my bookmaker? There are so many ways that you can send money to your bookmaker in order to bet with that, if you can’t find one to suit you, you probably shouldn’t be having a bet in the first place. But the direct transfer is the tried and true method. What you will need to do is find the section on the bookmaker’s website that details how to make deposit into your betting account. Here, there will be several methods on offer, but the one you will want is bank or EFT (electronic funds transfer). 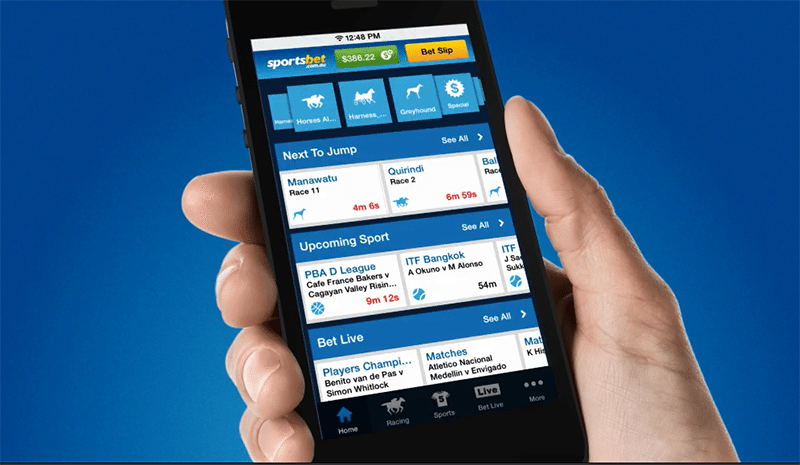 Here, the bookmaker will provide its bank account details, allowing you to either use your phone banking or online banking to make the transfer. You can also even go into the branch and use those details if you want to. So what will happen is once you have the bank account details from the site, keep them handy, because you will need to other punch them into your phone or tap them into your bank’s app or mobile website, once you have decided exactly how much money your are planning to deposit into your betting account. Once that’s done, it’s a matter of sitting and waiting until your bank does it’s banking and the bookmaker receives the funds, so that it can charge up your account with what you have sent through. Why should I transfer money directly? There are a couple of key reasons why you should use your bank account to make direct deposits to your betting account. While, as we mentioned, the funds can take some time to clear, it is easily the most secure way. You have the record of the transaction on your bank account for eternity and you know, because it is your financial institution, that your transfer will be safe and secure. It is also completely without fee when you make a direct transfer from your bank account. There is also the added advantage of, because it takes a day or two to actually make it from your bank account into your betting account, you will have to make sure you plan your bets first. That means you have time to research and can transfer exactly what you intend to spend, rather than slamming in loads of cash to your account on a whim and placing bets that are ill-fated from the get-go because you haven’t taken the time to ensure you are informed. There’s no chasing your losses either, if you decide that you are going to use direct transfer as your primary port of call, because, as we mentioned, it takes two days to arrive, so once the dough you previously transferred is gone, that, my friend, is it, for at least 24 hours… and probably longer. Call it a bit of self exclusion. Which bookmakers let me transfer money from my bank? You will find that almost all Australian online bookmakers will offer this method of transfer into their betting accounts. So there’s no issue there if that’s the method you wish to use. But that’s not how you should solely base your selections on. You want a bookmaker that provides a wide variety of markets and knowledge that they have security that they are going to look after your money and actually pay out on your bets. Good, because, instead of you having to go in and do all the testing to find out which bookies truly provide the best offerings, we here at Bettingsite.com.au have gone out of our way and done all the hard work for you. Here is a list of six of the best bookmakers you will find on the internet. They’re reputable, offer great markets and plenty of freebies that ensure you’re getting plenty of bang for your buck when you are placing your bets. Credit card: Pretty self explanatory, you use your credit card to charge up your account. This is an instant transfer that allows you to bet with the funds that are on your credit card, using a transaction from the card, usually Master Card or Visa. The funds land in your account straight away. POLi: One of the most popular methods today, POLi uses sophisticated encryption programs to take command of your net banking and make an immediate direct deposit into your betting account. You need to download the add on in order to use it and will need your phone handy as your bank system will often send you a verification code in order to get the transaction done. PayPal: perhaps the most popular e-commerce system in the world, it allows you to move your funds everywhere in the world. If you’ve ever bought or sold anything off ebay, there is a pretty good chanced you have used PayPal. BPAY: Similar to a bank transfer, BPAY instead allows you to make a secure transfer using its sophisticated system. All you need is your bookies Biller Code and your account number and you can make the transfer online or over the phone. Just like the bank transfer, it can take some time to appear in your betting account, so make sure you plan ahead. Skrill or money bookers: Transfer money from anywhere in the world without revealing your bank details. Skrill, once known as Money Bookers, acts as a digital wallet, allowing you to make immediate transfers. It can be charged up using the similar methods we’re mentioning here, but adds an extra veil of security by protecting your account details.